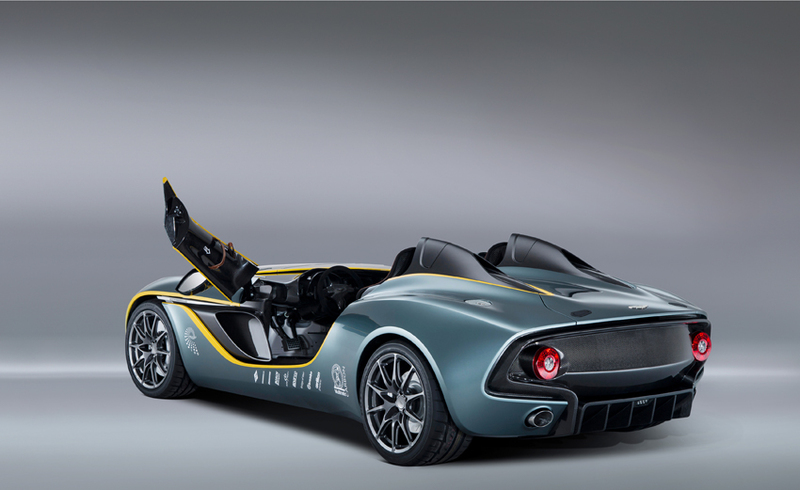 A unique year produces a unique and visionary car. 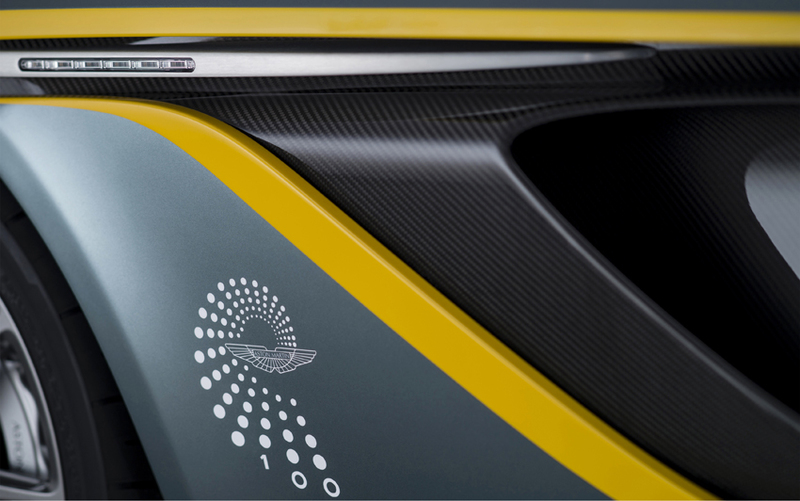 Created as a stunning celebration of Aston Martin’s century of sports car excellence we reveal ‘CC100’, a concept reflecting the sporting heritage and exceptional design capability woven throughout 100 years of Aston Martin history. CC100 looks back to a proud past and forward to an exciting future. A clear affinity with the legendary 1959 Le Mans and Nürburgring winning race car DBR1 can be seen in the design, with forward-looking features shaped from the same advanced materials and expert engineering used throughout our contemporary model range. 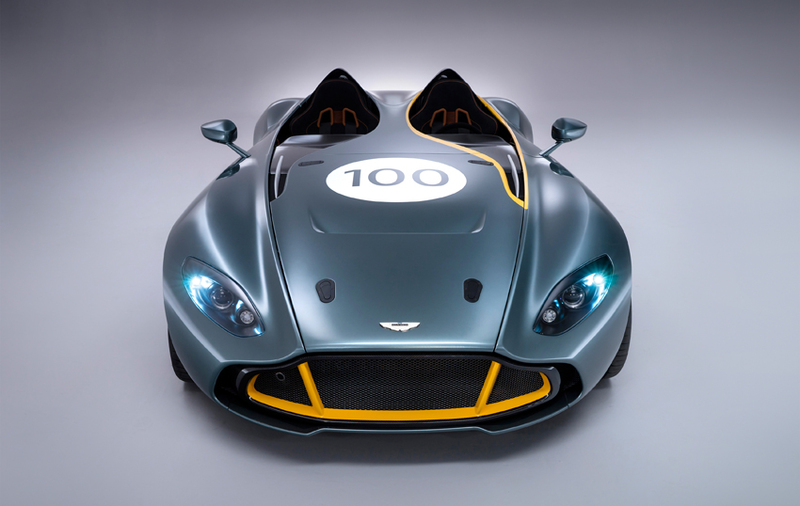 Designed and constructed in less than six months, the CC100 represents a shining example of the Aston Martin flexibility. Coupling creative freedom with cutting-edge technology to consistently deliver the purity of vision set out by our design team. Revealed to the world at the ADAC Zurich 24 Hours of Nürburgring race, CC100 was driven on its debut by Aston Martin CEO Dr Ulrich Bez. Alongside him on this unique celebratory lap of the iconic Nordschleife was DBR1, the same car that completed the 1000km of Nürburgring in 1959, crewed by the same man – Sir Stirling Moss. 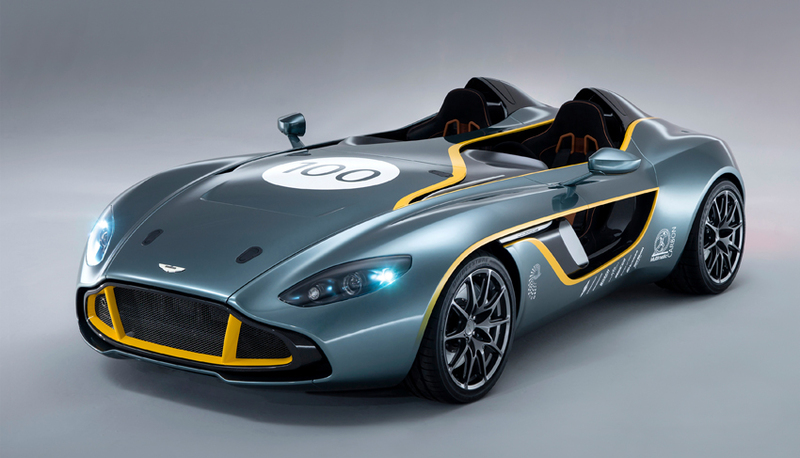 CC100 – the ultimate expression of Aston Martin’s first century. 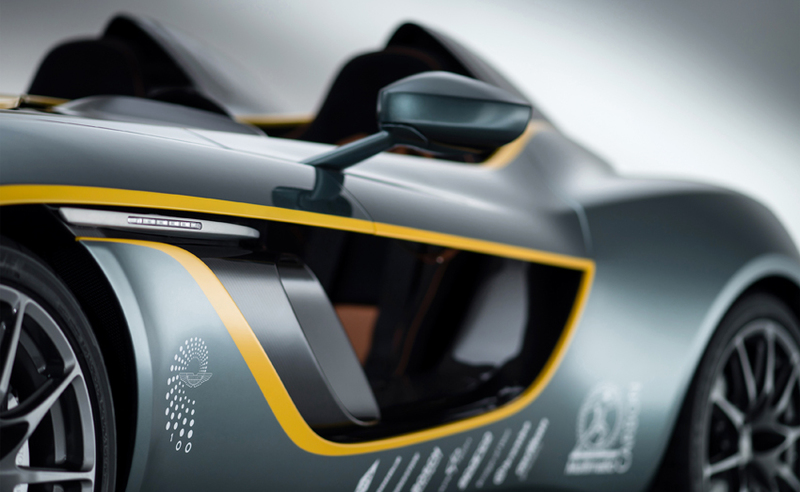 Created by Aston Martin’s world-class design team, the vision was simple yet enormously testing: create a car reflecting a century of Aston Martin heritage but one that also signals the future of the brand. 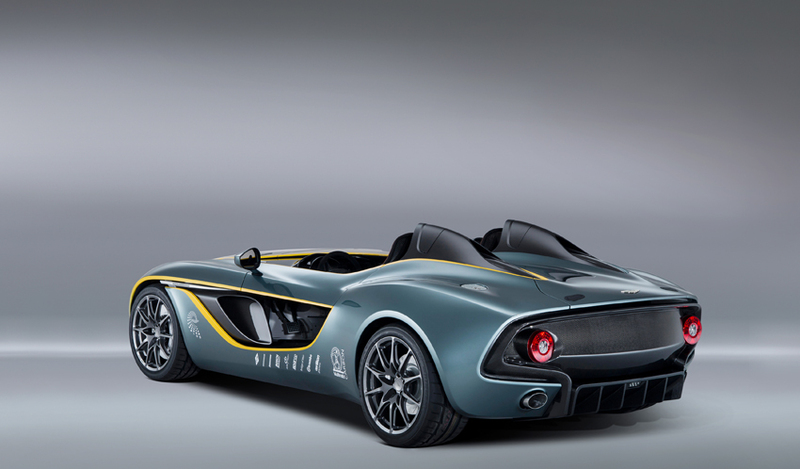 Lead by Director of Design Marek Reichman and Chief Exterior Designer Miles Nurnberger the idea of an iconic speedster concept with nods to the Le Mans- and Nürburgring-winning cars of 1959 soon emerged. Early sketches drew clear inspiration from the legendary DBR1; open cockpit, two seats, uninhibited driver vision and flowing exterior lines from a smooth aerodynamic form. With initial themed imagery showing an overall shape with sharper, contemporary styling, the team took their ideas for CC100 and moved from paper to clay. Expert modellers worked intensively to turn these initial designs into a tangible, physical form. 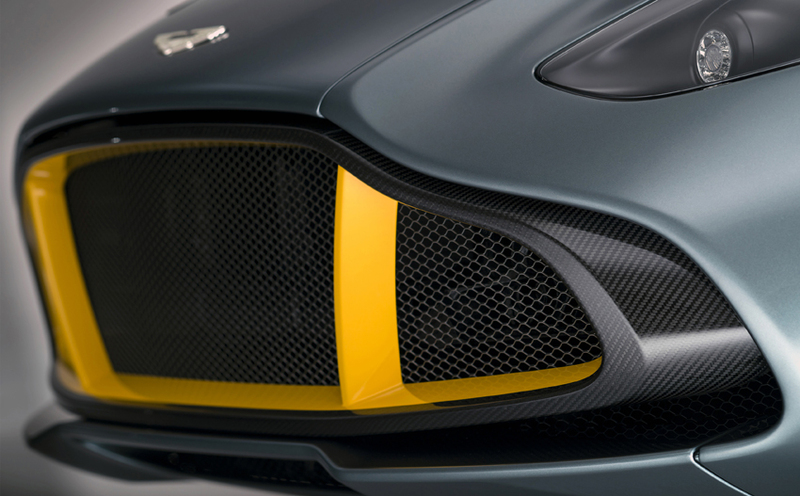 All Aston Martins are initially created by hand, shaping each line, measuring each dimension precisely and working to create perfect aesthetics. Finely honed to create the exact blend of sporting aggression and beauty CC100 had become more than a concept. With a radical exterior in place, the team set about creating an interior befitting a true track car yet using same material artistry found on our road cars. 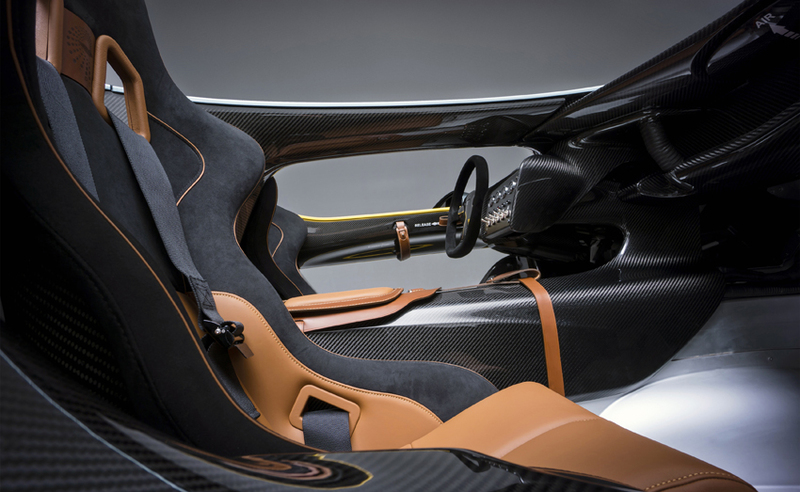 Lightweight carbon fibre is used to provide structural rigidity but a unique weave also creates a dynamic cockpit environment. Racing seats are clothed in the finest Bridge of Weir leather but fitted with full safety harness. 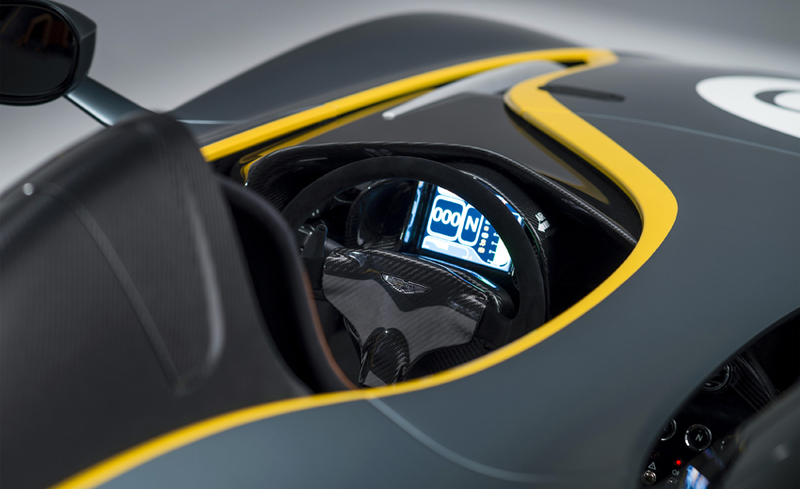 Glass control buttons and the same distinctive glass ECU starter match those found throughout the Aston Martin model range. 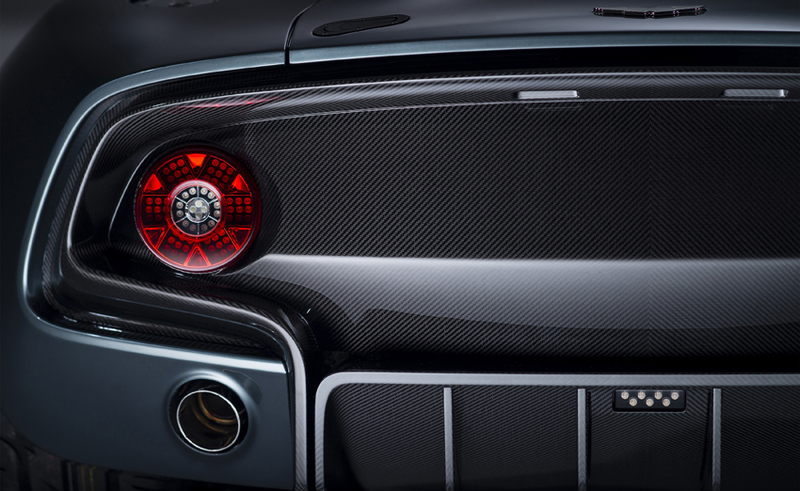 Exceptional design is married with cutting-edge engineering. 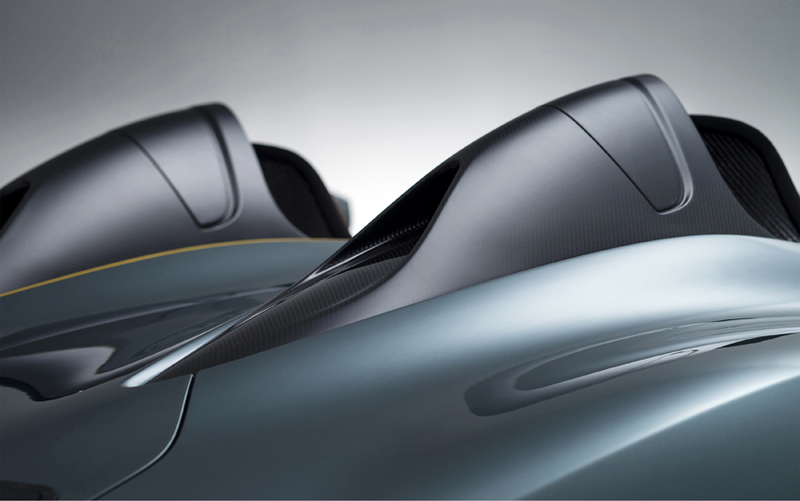 Using the latest iteration of Aston Martin’s naturally aspirated V12 engine, CC100 includes unique engine mountings to ensure the powerhouse sits low down in the chassis. This specially machined drive-train powers the CC100 from rest to 62 mph in a little over four seconds, while the top speed is limited to 180 mph. Mated to a six-speed hydraulically actuated automated sequential manual transmission and controlled via steering column-mounted paddle shifts CC100’s lightweight gearbox delivers truly sporting changes perfectly suited to the Speedster’s track-focused nature. 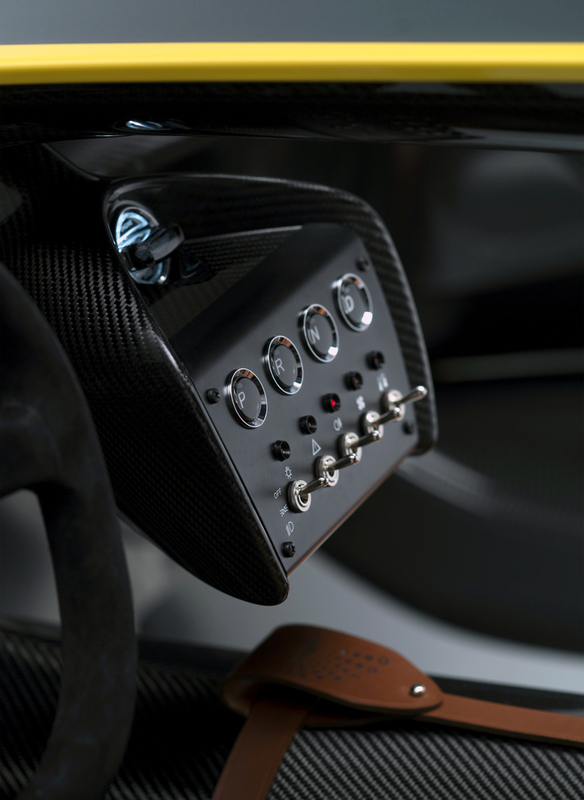 Developed from our GT race programme CC100 calls on the competitive expertise used by Aston Martin engineers in developing all our road and track cars. 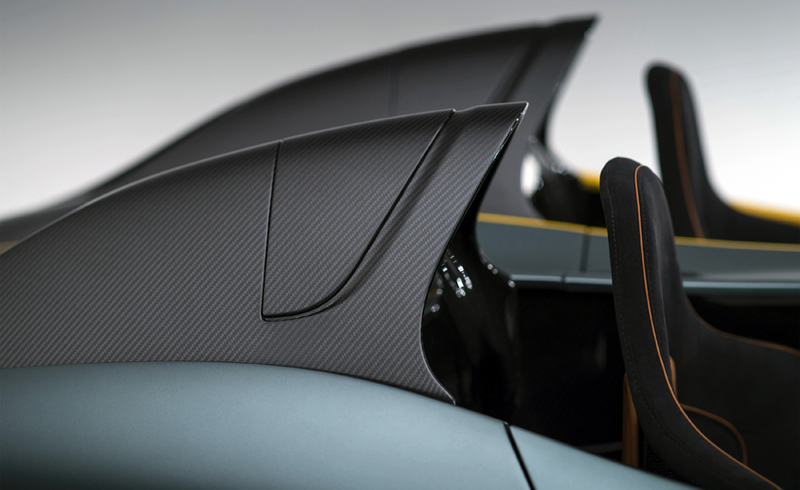 With a body and interior crafted from carbon fibre, tooled and provided by low volume specialists Multimatic, Aston Martin designers used this aerospace standard material to create a unique design features and to also ensure CC100 both light and lithe. 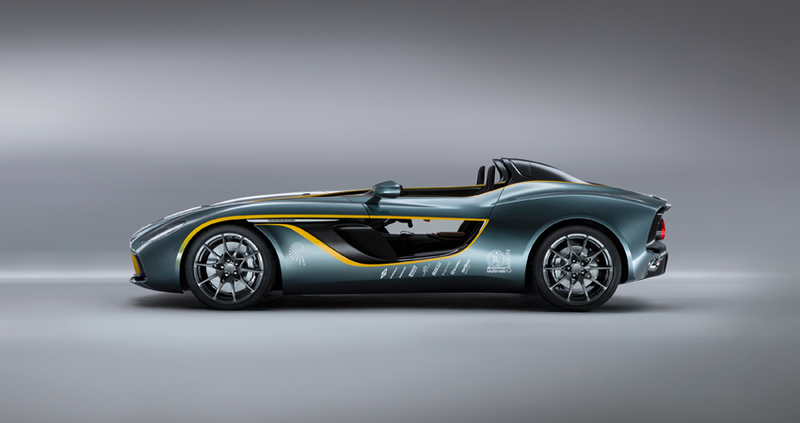 CC100 draws a direct lineage from DBR1 – a true racing icon and one of the most famed Aston Martins ever created. The most successful racing car ever made by Aston Martin the pinnacle of its success came in 1959 where it won the both the 24 Hours of Le Mans and the 1000km of Nürburgring. Produced as a pure racing model – not derived from a road car, five examples of DBR1 were made, four used by the Aston Martin works team and one for private use – the cars are named as DBR1/1, DBR1/2, DBR1/3, DBR1/4 & DBR1/5. Designed by Ted Cutting under the guidance of company owner David Brown, the car made its debut at the 1956 24 Hours of Le Mans, crewed by Reg Parnell and Tony Brooks. With Aston Martin’s subsequent move into Formula One all DBR1 cars were sold to privateers with mixed success. All the cars were retired from racing by 1963. 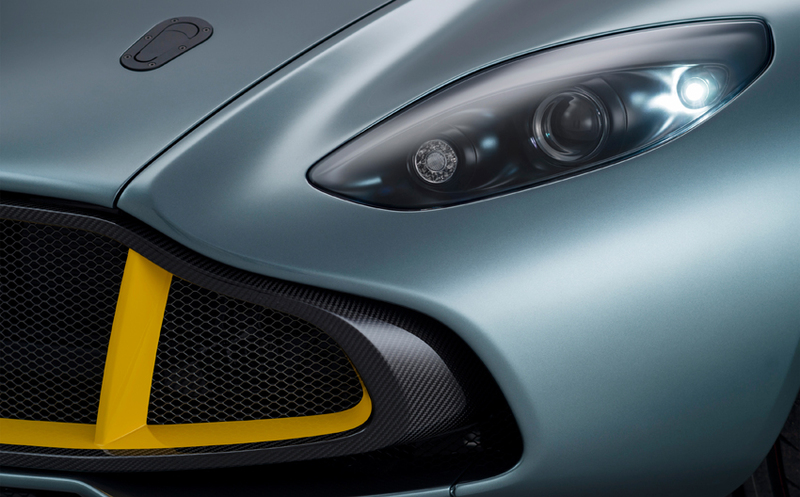 With four of the five models still in existence they represent an integral part of Aston Martin&rsqu;s rich racing history, combining advanced engineering with exceptional design. 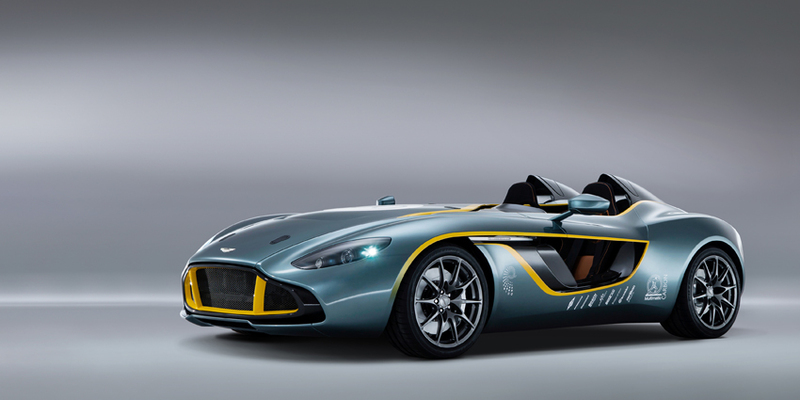 These two distinct Aston Martin strengths are echoed today with the reveal of CC100, a contemporary reimagining of an Aston Martin speedster. A car that encompasses the purity of design and purity of spirit present in DBR1 nearly over fifty years ago. 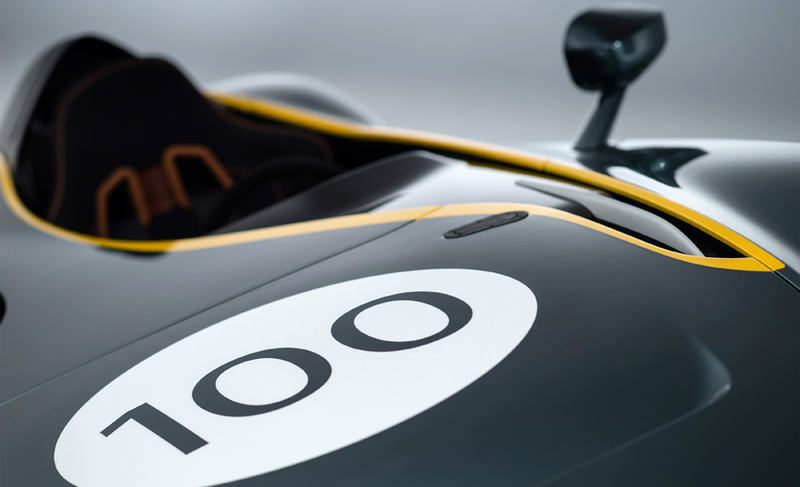 Suitably revealed in the company of Sir Stirling Moss at the Nürburgring, CC100 pays tribute to DBR1 whilst lighting the way for future Aston Martin race success.